I got the TSN version. It is still the best lathering bowl I own and, as usual, very well made. Julie does excellent work. I have the prototype TSN LE one. Just an FYI, our very own TexBilly was the one that helped Julie design the Bill Bowl. A beautiful piece of pottery!! 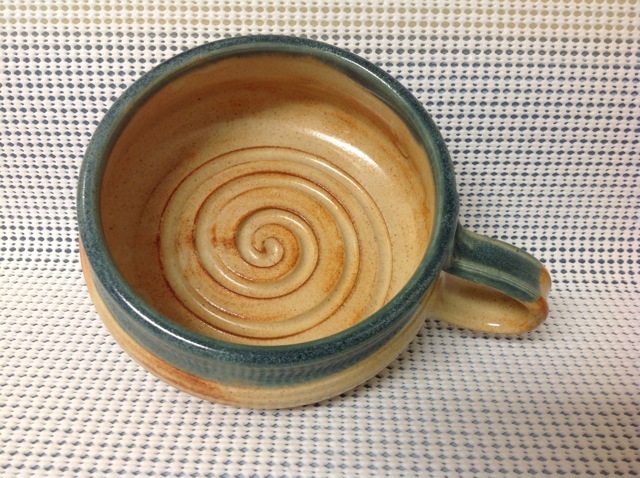 (04-04-2014, 10:35 AM)LookingGlass Wrote: A beautiful piece of pottery!! +1 and some really great photos. Thanks, for pushing me over the top. Just ordered my own Bill Bowl. I remember the six week wait for my 1.5 scuttle - it was a long six weeks. But Julie does terrific work which is well worth the wait. Very nice, it looks fantastic! I've just ordered the travel scuttle in gold rim on red, personalised. I'm looking at an 8 week wait, with the shipping time! (04-05-2014, 10:55 AM)Balddevil Wrote: Very nice, it looks fantastic! Very nice Wallace. I have one of them in the Berry Rim on Blue. I've gradually moved to face lathering and mine is not getting any use, so I may list it for sale. However, it's the best bowl I've ever used for lathering. (04-05-2014, 08:22 PM)TheLegalRazor Wrote: Very nice Wallace. I have one of them in the Berry Rim on Blue. I've gradually moved to face lathering and mine is not getting any use, so I may list it for sale. However, it's the best bowl I've ever used for lathering. Yea I bet the berry rim on blue looks nice, but I used it for the first time this morning a I really enjoyed it........Thanks! I have a number of scuttles and bowls, but none I like better than my bill bowl. Congrats--that's a nice one you have there! 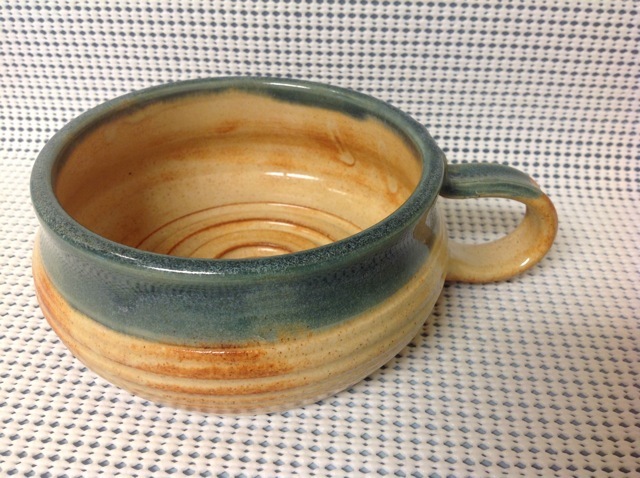 (04-06-2014, 09:04 AM)greyhawk Wrote: I have a number of scuttles and bowls, but none I like better than my bill bowl. Congrats--that's a nice one you have there! 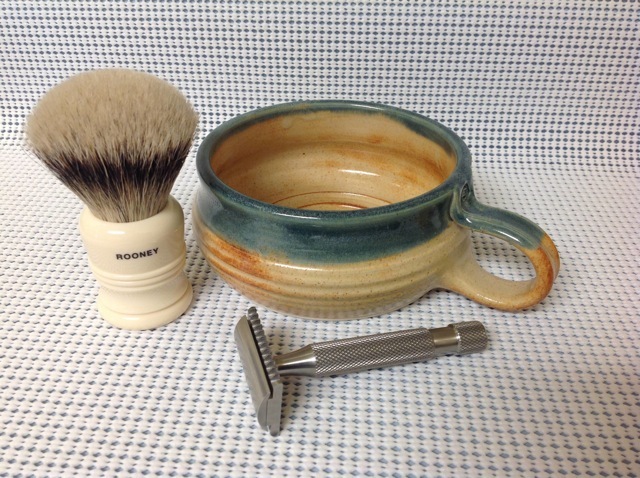 Thanks for the kind words, and I really enjoyed my first shave with it yesterday and it is sweet! Very nice, personally I'm a face latherer all the way, but enjoy! Very nice lather bowl indeed. Could you please share the dimensions and perhaps the weight? I have a GP scuttle, but have been very interested in acquiring a lather bowl such as this one. (06-11-2014, 05:20 AM)JrReyes Wrote: Very nice lather bowl indeed. Could you please share the dimensions and perhaps the weight? I have a GP scuttle, but have been very interested in acquiring a lather bowl such as this one. The inside diameter is 4.5" and the inside depth is 2.5", not really sure on the weight, but it is a nice bowl. I was lucky enough to get a TSN version in berry and blue. I love using it and can't say enough about the quality. Hope you enjoy yours! Great bowl. The color is cool too. Whip it good.